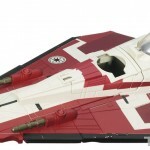 The ToyArk has gotten a bunch of new images and info for some upcoming Star Wars vehicles. Included are some of the most highly anticipated vehicles in some time. Click the headline of the story for the photos as well as package bios. 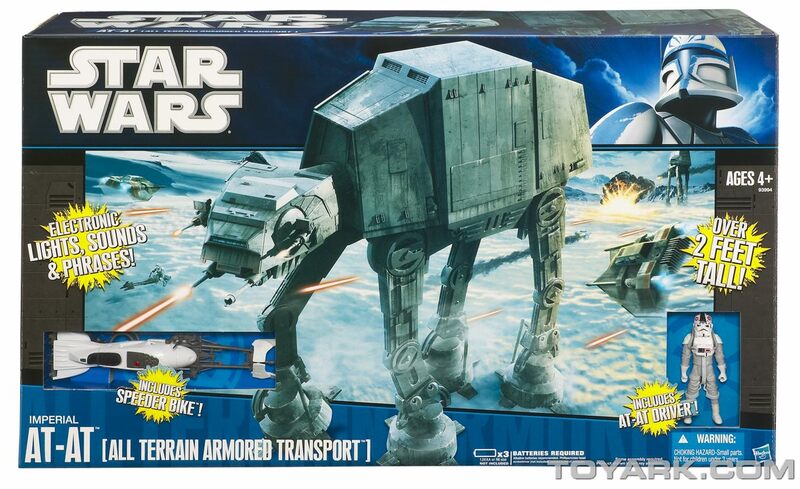 The Imperial All Terrain Armored Transport (AT-AT) walker moves across the frozen Hoth landscape toward Echo Base, the Rebel Alliance’s headquarters. 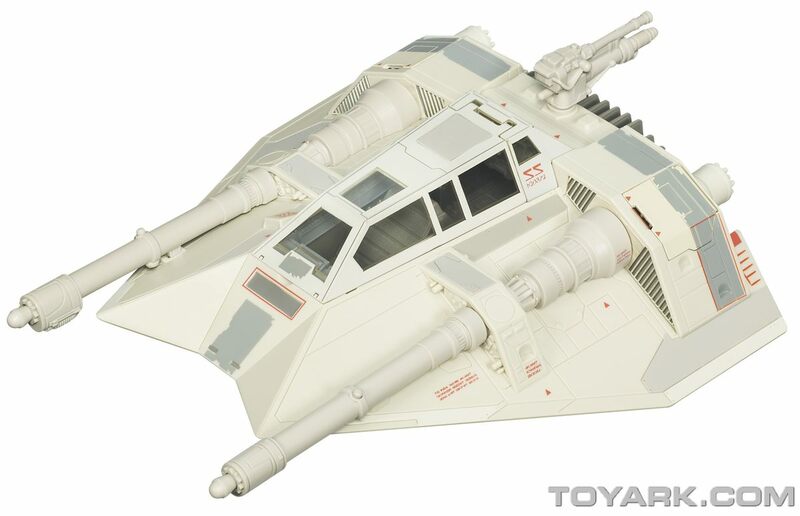 This huge transport and combat vehicle is armed with powerful side-mounted blasters and laser chin guns. A command crew operates the AT-AT from the control room in the vehicle’s head. In the body of the vehicle, a transport area can hold speeder bikes and stormtroopers. During the Battle of Hoth, a squadron of Rebel snowspeeders led by Luke Skywalker manages to bring down one of these behemoths by entangling its legs in a tow cable. 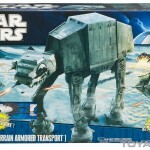 Unleash a battle of intergalactic proportions with this detailed vehicle, Speeder Bike vehicle and AT-AT Driver figure. Press the button to lower the rappelling platform, attach the figure and press the button to retract the rappelling line. 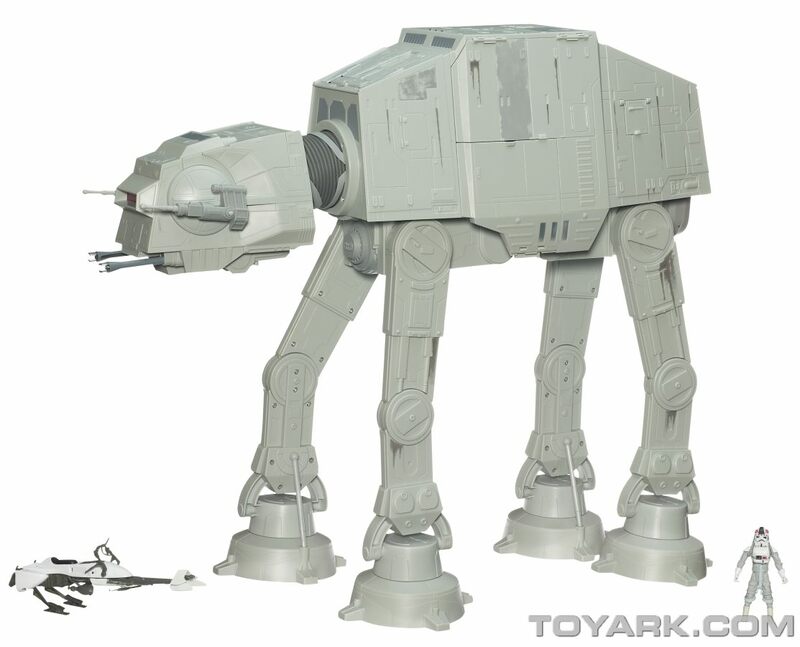 Once your figure is back inside, mount him on the Speeder Bike vehicle and deploy it from the back of your AT-AT vehicle! If additional “manpower” is needed, your vehicle even holds up to 19 more figures. (Additional figures sold separately.) Light-up reciprocating chin guns, a light-up command section, battle and vehicle sounds and firing side-mounted blasters bring the excitement of the intergalactic saga straight to your living room! Piloting a snowspeeder, Luke leads Rogue Squadron in an assault on Imperial forces that have landed on Hoth. 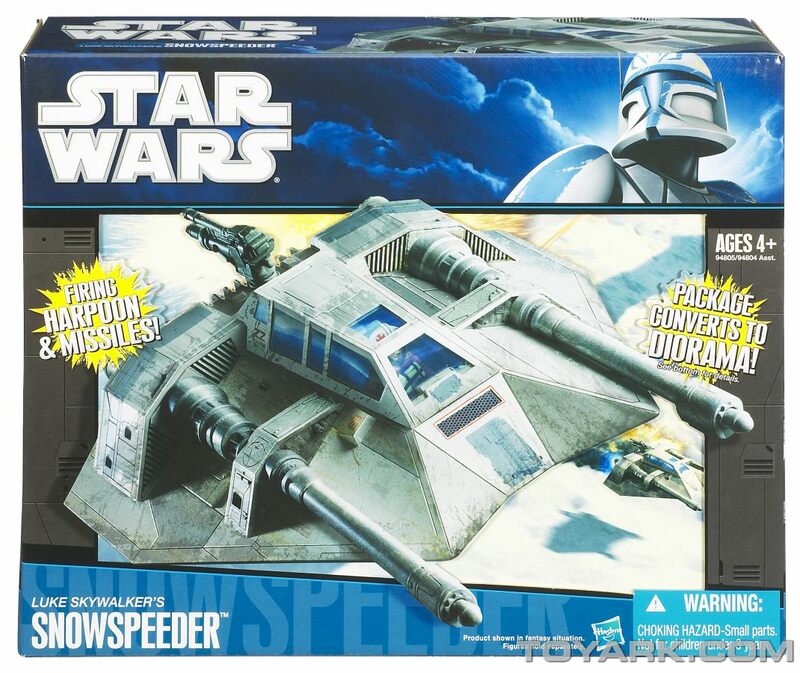 Equipped with laser cannons and a tow cable, snowspeeders are T-47 airspeeders that have been modified to withstand the ice planet’s brutal climate. The huge Imperial AT-AT walkers can’t be brought down with cannon fire, so Luke tells his group to tangle the cable around the walker’s legs – a tactic that successfully brings down one of the behemoths. 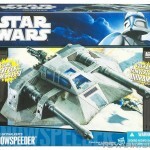 Launch yourself into action with this awesome Luke Skywalker’s Speeder vehicle! Its opening canopy, retractable “landing skid” and opening air brakes make this one versatile “star-skipping” vehicle. Meanwhile the interchangeable “missile”-firing launchers and non-firing cannon accessories with the interchangeable “harpoon”-firing launcher and non-firing harpoon gun accessories make this a serious evil-battling “machine”! 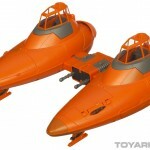 Fit two figures (sold separately) in the double cockpit and blast off for adventure! 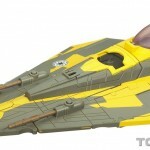 Vehicle comes with firing launchers, non-firing weapons, projectiles and tethered harpoon accessories with instructions. 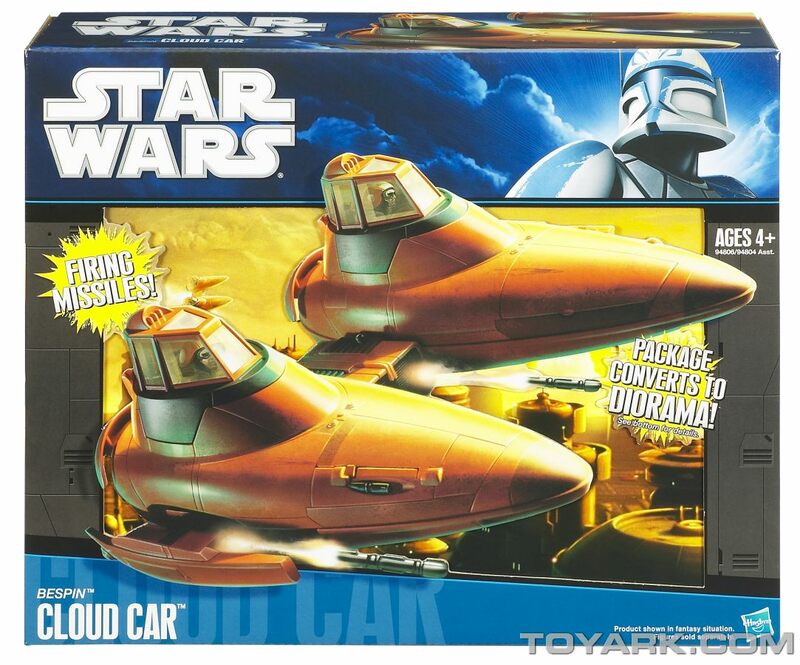 Cloud cars maintain order in the skies of Cloud City above the planet Bespin. 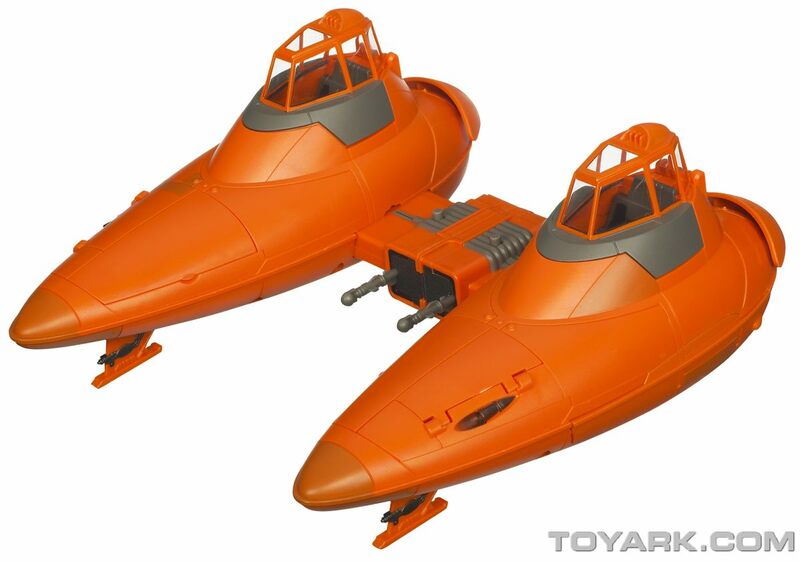 These atmospheric vehicles have twin pods and are armed with laser cannons. Using ion and repulsorlift engines, cloud cars can achieve impressive speed as they cruise above the mining colony. When the Millennium Falcon arrives at the floating city to escape Imperial pursuers, two cloud cars immediately flank the ship and keep a close watch on it until permission is granted for the Falcon to land. 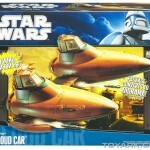 “Soar” into battle with this slick Bespin Cloud Car vehicle! 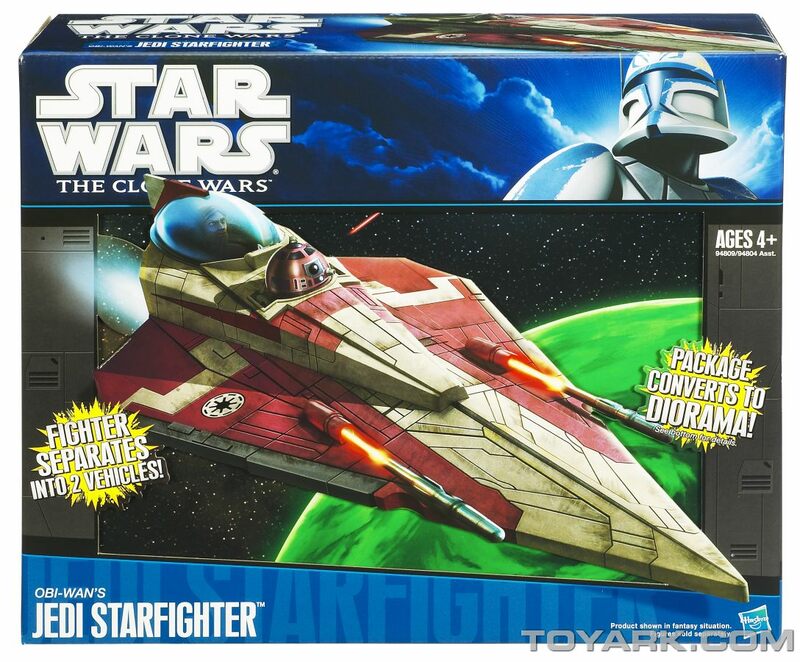 This amazing “star-skipping” vehicle splits into two separate vehicles — making it one very versatile fighter. Meanwhile, the firing “missiles” and launching hidden and visible “missile” launchers make this a serious combat “machine”! Open the cockpit to fit a figure inside (figures sold separately) and check the storage chambers for your additional weapons (sold separately). Retract the landing gear as you being your “flight”and blast off for adventure! Vehicle comes with missile accessories and instructions. Anakin Skywalker flies his customized Jedi starfighter to assist Obi-Wan Kenobi in tracking down General Grievous. But before Anakin can rendezvous with his former Master, he encounters a squadron of vulture fighters who attack the Jedi. Anakin returns cannon fire and the battle is on! 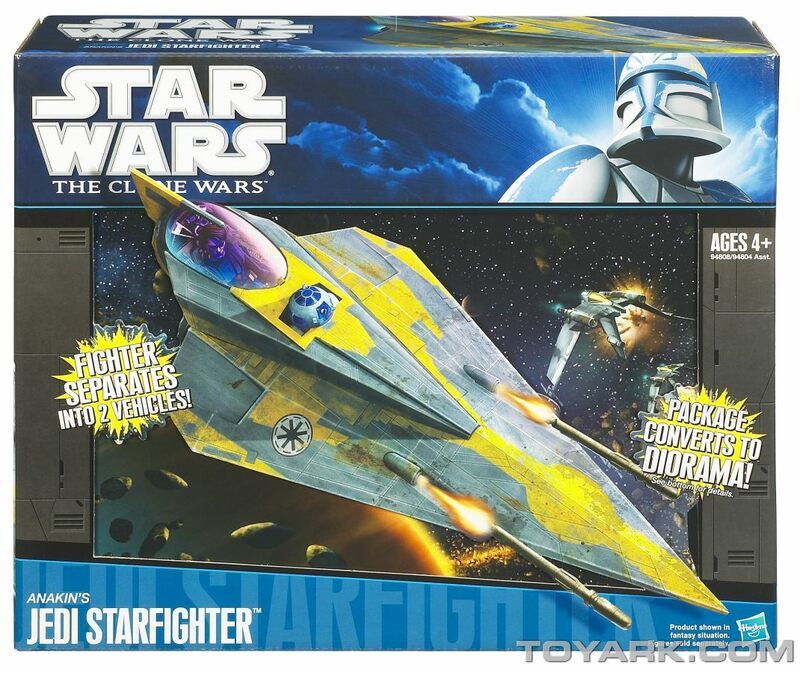 Launch yourself into action with this awesome Anakin’s Jedi Starfighter vehicle! This amazing “star-skipping” vehicle splits into two separate vehicles — making it one very versatile fighter. Meanwhile, the firing “missiles” and launching fire projectile accessories make this a serious evil-battling “machine”! Fit a droid figure in the droid socket and a figure in the cockpit (figures sold separately) and blast off for adventure! Obi-Wan Kenobi pilots an experimental Jedi starfighter while tracking General Grievous. The Jedi Master flies to a rendezvous with a contact that has information on Grievous’ last known location. 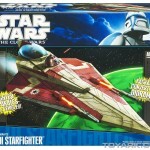 The fighter is armed with laser cannons in case of trouble – something Kenobi always seems to encounter! 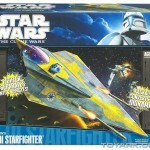 Launch yourself into action with this awesome Obi-Wan’s Jedi Starfighter vehicle! This amazing “star-skipping” vehicle splits into two separate vehicles — making it one very versatile fighter. Meanwhile, the launching projectile accessories on both ships make them serious evil-battling “machines”! Fit a droid figure in the droid socket and a figure in the cockpit (figures sold separately) and blast off for adventure! 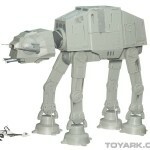 That AT-AT just keeps getting better and better. I just hope it retails for $50. 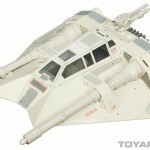 The Snowspeeder looks like a re-release of the PotF Snowspeeder, with different paint/stickers and the electronics gutted and replaced with firing missiles.